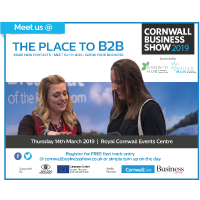 Micross Logic are exhibiting at the Cornwall Business Show @CornwallBizShow at the Royal Cornwall Showground on Thursday 14th March 2019. 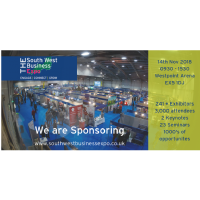 Pop over and and say hello, tickets are free! Ever wish you could reduce the amount of admin involved in your accounts receivable processes? Ever wish you could reduce the amount of admin involved in your accounts receivable processes? 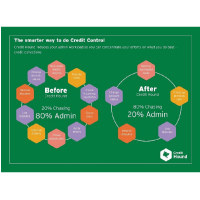 Credit Hound enables more proactive working. From automating tasks, to setting up to-do lists, Credit Hound provides the information you need to see who to chase, how much is owed and all the previous chase history as well as any..
Making Tax Digital (MTD) is HMRC’s move to digitise tax. From April 2019, businesses with a turnover above £85k will have to submit VAT returns through the HMRC gateway using commercial accounting software meaning that 89% of UK business will change the way they process tax. 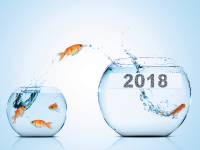 Is your business ready? Contact Micross Logic http://bit.ly/mtd-2018 to find.. Thank you @_Space2B for our delicious eater treats! Is your business getting the most out of your current ePOS solution? Micross Logic are an award winning Platinum Sage Partner that provides Sage business solutions to small and medium sized business across Wales and the South West. With offices in Cardiff, Devon and Cornwall and with over 25 years of experience, Micross Logic helps business to improve their performance through the implementation of Sage solutions and expert consultancy services. Micross Logic is part of the Techsol Group.